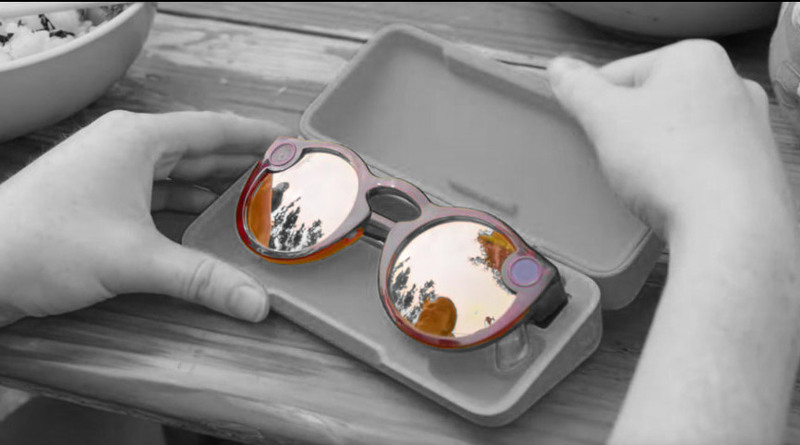 Snap unveiled a new version of its Spectacles camera glasses on Thursday. The latest model is a bit slimmer, $20 more expensive, can take photos, offers prescription lenses for an additional fee, and is water resistant. Snap, Snapchat’s parent company, launched a new version of its camera glasses, Spectacles, on Thursday. The new model is slightly slimmer, can take photos, and they’re water-resistant, Snap said in a release. “Tap the button to record video with new and improved audio, and now, you can press and hold to take a photo! Snaps you capture will transfer to Snapchat up to four times faster, and always in HD,” according to the Snap release.